Drawing heavily on what is known about Thomas Hardy’s later years and the first production of the play ‘Tess’ – Christopher Nicholson has written a novel that explores many of themes which might have interested Hardy himself. I am a little nervous perhaps, of novels written about real people – and I don’t mean historical figures from so far away a time as to make them almost fictional like anyway (is that just me?) but those people who lived in times not so very long ago – who we still feel we can almost reach out to, and about whom we think we know so much already. I was slightly cured of that fear when I read and absolutely loved Helen Dunmore’s Zennor in Darkness – which features D H Lawrence and his wife. This novel however is about Thomas Hardy and his second wife Florence – set in the last few years of his life, when he and Florence had been married ten years. I was a little concerned I suppose at the Thomas Hardy I would encounter in this book, fiction though it is, it isn’t as though I believe he and I would have been great mates should we ever have met – I think that unlikely – but I wanted still to like him. Incredibly I do – I say incredibly, because Christopher Nicholson hasn’t made either Hardy or Florence especially sympathetic, Hardy emerges as an obstinate, slightly delusional old man, set in his ways and Florence is rather hysterical and a little shrewish at times. Yet still I love Thomas Hardy – it seems I cannot be cured. In the 1920’s Thomas Hardy adapted his favourite novel Tess of the d’Urbervilles for the Hardy Players – a Dorset amateur dramatic group which still exists today, at least they seem to have been reformed a few years ago. Gertrude Bugler was cast to play Tess; she was a Dorset girl, who had been locally acclaimed as an actress of real ability. Gertie was the daughter of Augustus Way who years earlier as an eighteen year old milkmaid had been Hardy’s inspiration for Tess. This of course is a tantalising glimpse into the possible thinking of the great man. Augustus/Gertie/Tess are inextricably linked and tangled up with each other. So in a way this novel is a wonderful companion read to The Well Beloved – the next read in my ongoing Hardy reading challenge – a novel I have read twice before though not for a long time. 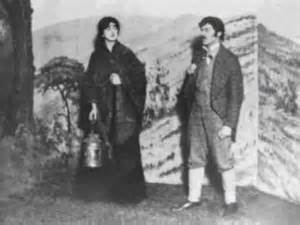 Hardy desperately wanted Gertie to take the play to London, and perform it at the famous Haymarket theatre. This was a dream come true for Gertie, although it would mean leaving her husband and young baby for a month. However this was destined never to happen, Florence Hardy had become so jealous of Gertie that she put a stop to Gertrude Bugler’s playing Tess in London. It seems that all this is true, and has provided Christopher Nicholson with a wonderful story on which to build his novel. Winter – named for the time of year the story is set and more importantly the stage of Hardy’s life it concerns, is a beautifully constructed, subtly complex little novel. Exploring themes of marriage, desire, ageing and mortality, it is a wonderfully psychological examination of one of England’s best and most loved writers (oh I know there are Hardy haters out there I like to ignore the fact). At Max Gate – Hardy’s country home he and Florence lead a largely reclusive life with their adored little dog Wessex. Thomas Hardy is eighty four, his wife only forty six – but in poor health she seems older. As the novel opens the couple await a visit to their home by Gertrude Bugler. Gertie threatens the equilibrium of their quiet life; she is beautiful, ambitious and in Hardy’s mind embodies the spirit of Tess – his favourite heroine. As plans for transferring the play to London start to take shape, Hardy is often preoccupied with thoughts of his own mortality – going as far as picturing his own funeral in minute detail, though even here his thoughts return to the Tess/Gertie/Augustus ideal. Florence meanwhile already obsessed with the idea that the thick trees which surround Max gate are affecting her health, frustrated at her husband’s refusal to have them cut back, now becomes convinced that he is planning on betraying her with Gertie Bugler. Florence’s moods become increasingly erratic, making whispered telephone calls, and finally paying a secret visit to Gertie Bugler at her home to beg her to turn down the London role. This is a superb novel, beautifully written, profound and deeply affecting. 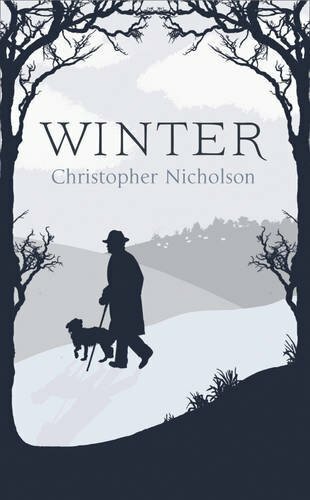 This is Christopher Nicholson’s third novel, although the first of his I have read, and I probably wouldn’t have read him at all if her hadn’t gone out and written a novel about my favourite novelist, I am so glad I have encountered him. I love the sound of this. I haven’t read much Hardy, just Tess and Far From the Madding Crowd, but I have read Claire Tomalin’s biography of him which I really enjoyed. That biography is very good I agree. Will definitely read this one, sounds fascinating . I love Thomas Hardy but haven’t read much about his life. I’m making a note of this book – thanks! It’s well worth reading as is Claire Tomlin’s biography. I’ve just been getting into Hardy and this book sounds like a worthy addition to the pile. Thanks. For anyone interested in Hardy I think it is. Enjoy your Continued Hardy reading.